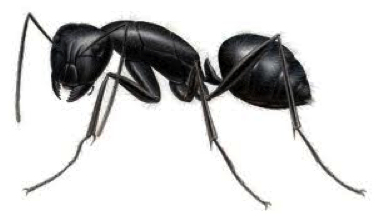 Carpenter ants cut "galleries" into the wood in your home. Colonies can contain up to 50,000 workers, and infestations are very difficult to control. 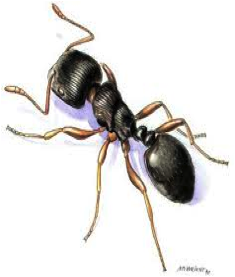 Carpenter ants are often mistaken for termites, and create significant structural damage. 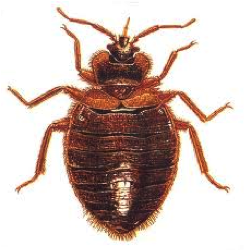 Bed bugs are all over the news. You can’t talk to someone without the subject coming up. 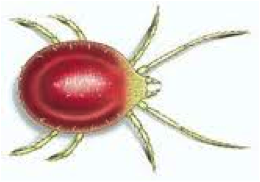 These ectoparasites strictly feed on blood, and they prefer humans. 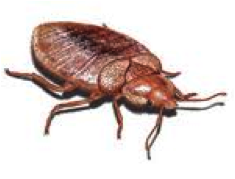 They’re found in clothing stores, movie theaters, doctor’s offices, dorm rooms and homes. 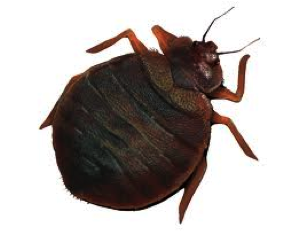 Bed Bugs don’t just hide on beds. They harbor anywhere they can count on getting a regular nighttime feeding. 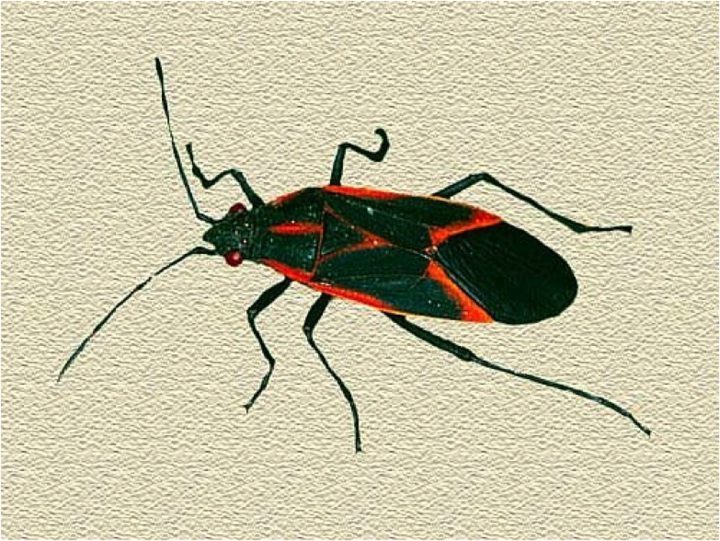 Box Elder Bugs are small, black insects with distinctive red markings and flat wings that lay across their backs. 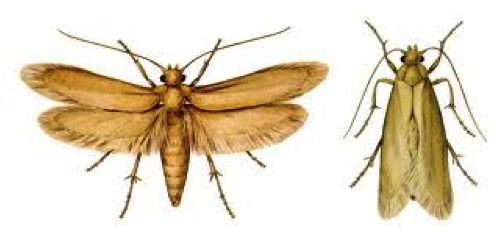 They tend to invade homes and businesses in late summer for overwintering purposes. 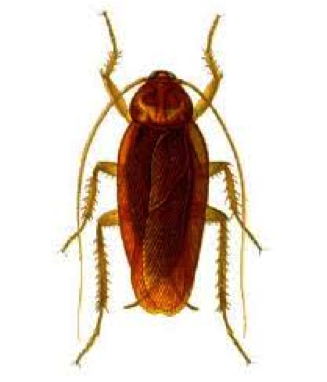 Carpet Beetles, Webbing Clothes Moths and other fabric destroying pests are categorized as Fabric Pests. 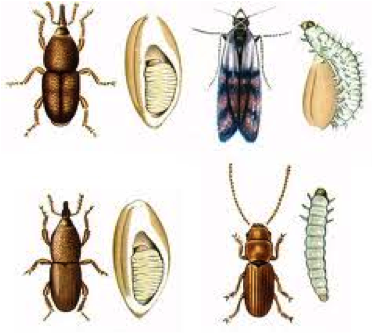 These insects cause significant damage to garments, family heirlooms and stored clothing every year. Vigilance, good storage practices and monitoring are all good ways to protect your most precious belongings. Those little tiny red spiders are clover mites. 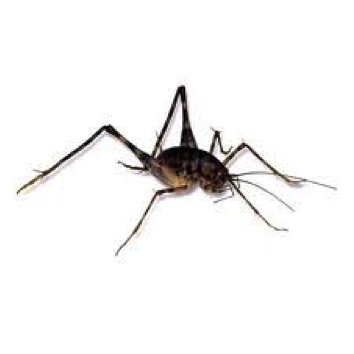 The don’t bit or spread disease but when they emerge, it’s in the thousands! 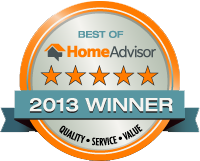 They show up on walls, curtains, and window sills and leave a red stain when crushed. 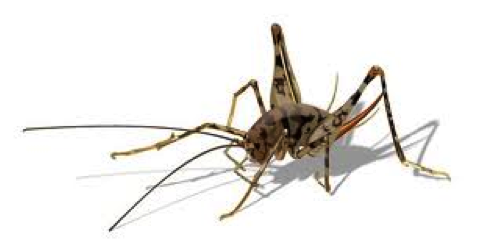 The right time to manage this pest is not necessarily when you start seeing them. 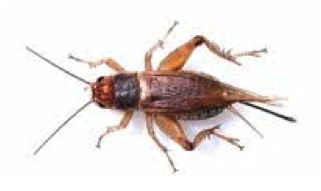 House crickets can damage silk, woolens, paper, fruits and vegetables. They sneak indoors just as the weather begins to get cold. They can eat almost anything available. 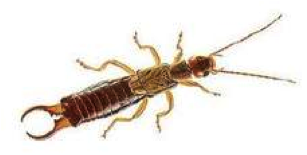 Earwigs are small insects that have smooth elongated bodies with a have pair of horny, forceps-like abdominal appendages called ‘cerci’. They are fond of moisture and seek it out in and around your home. They are attracted to mulch and leaf clutter. 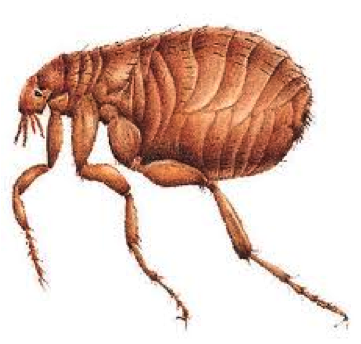 Fleas feed on human blood through small bites in the skin. 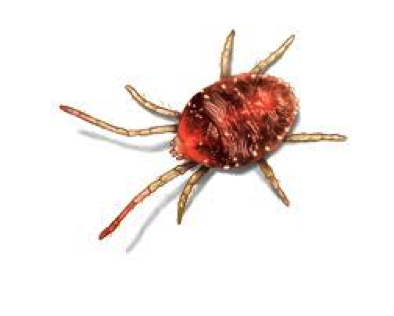 They can jump from your carpet up to your ankles and calves, and a female flea can produce up to 800 eggs during her lifetime. Flies carry more than 100 pathogens that can cause dangerous diseases in humans and animals, such as typhoid, polio and tuberculosis. 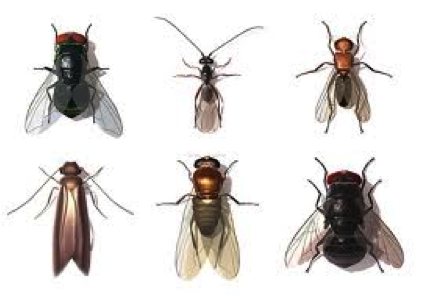 Knowing the fly species helps lead to identifying the source. Eliminating the source is the first step in effective fly control. Centipedes are long, multi-segmented arthropods that resemble millipedes. They are unique because their first pair of legs have evolved into venomous fangs. 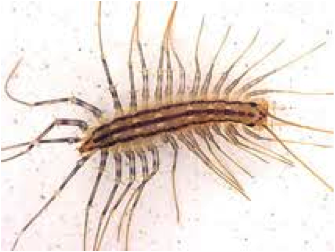 Centipedes are attracted to the moisture gathered beneath rocks, fallen logs, mulch and in soil and leaf litter. Oftentimes centipede find their way into homes where their frightening appearance and painful bites occasionally cause problems. 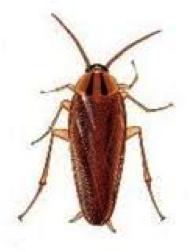 Pantry Pests are a group of pests, commonly made up of Indian Meal Moths, Saw Tooth Grain Beetles and Cigarette Beetles among others. 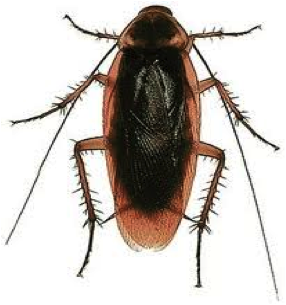 These pests have an appetite for many types of stored food products such as flour, cereal, dry pasta, breads, spices and dry pet food as well as fruit. 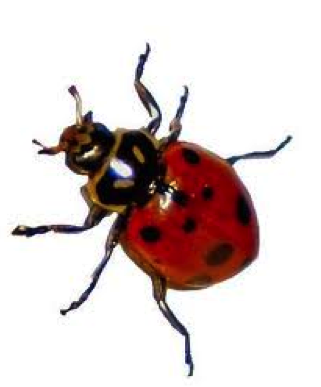 Lady Beetles also known as Lady Bugs range from 1/32 to just under 1/2 an inch and are most commonly scarlet, orange or yellow with small black spots on their wing covers. The legs, head and antennae are usually black. They seek shelter inside when the weather begins to get colder. Constantly on the hunt for food, a single ant can lead the way for the entire colony to invade your home. The best way to control ant activity is to find the nest and remove the queen.